Burros have been a familiar sight in Death Valley going back to the California Gold Rush in the mid-1800s, when prospectors used them as transportation and then left them behind. Unfortunately, to deal with the invasive burro problem during much of the 20th century, the Department of the Interior ordered thousands of them to be shot. 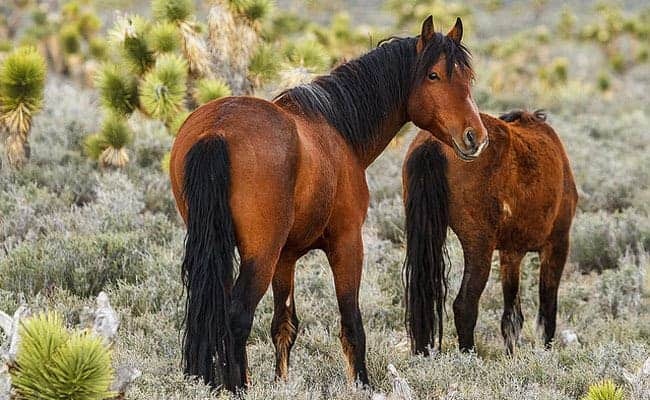 The culling was reduced but didn’t end with the passage of the Wild and Free Roaming Horses and Burros Act in 1971, which only protects these animals on lands overseen by the U.S. Bureau of Land Management (BLM) and U.S. Forest Service (USFS), but not in national parks. The National Park Service (NPS) is allowed to use “direct elimination” (in other words, shoot them) if there are no other alternatives. 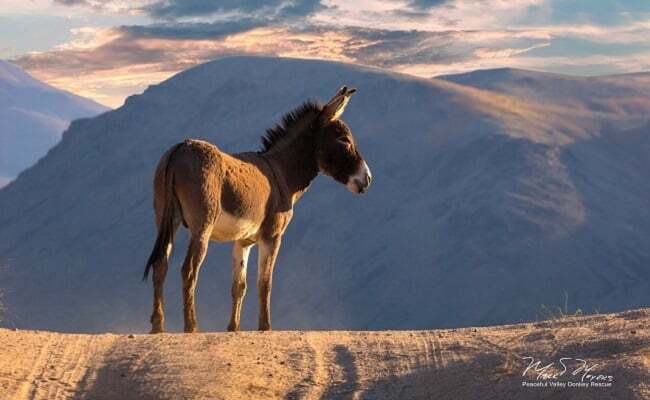 The wild burro population in Death Valley is growing at about 20 percent each year, according to the NPS, which says each burro eats 6,000 pounds of grass, shrubs and desert plants annually. To eliminate this problem within the next five years, most of the estimated 2,500 to 4,000 wild burros in Death Valley will disappear.They will have a happy fate, however: they’re being rounded up and will either be adopted or live out their lives in a sanctuary. Their removal from Death Valley is a win-win for the burros, park and taxpayers, said Mark Meyers, founder of Peaceful Valley Donkey Rescue (PVDR), which is conducting the move with funds from donors rather than the federal government. PVDR, the largest organization of its kind, has saved over 9,000 donkeys since Meyers and his wife, Amy, launched it 18 years ago. To catch the wild burros, PVDR “uses the most humane techniques to ensure that the burro’s first encounter with humans is not overly stressful,” according to its website. “This makes them much easier to gentle and accept people. Using self-catching traps at water sources is our preferred method.” Photos accompanying the Los Angeles Times story show Meyers and a PVDR contractor setting up temporary holding pens with alfalfa inside them. Burros that are “too old and too wise to fall for the baited-trap trick” will be rounded up using helicopters and wranglers on horseback, Meyers told the Times. After they’re captured, the burros are being transported to a nearby holding facility. From there, they’ll be taken to PVDR locations across the country, where they’ll be checked for disease, neutered and trained to be comfortable around people. 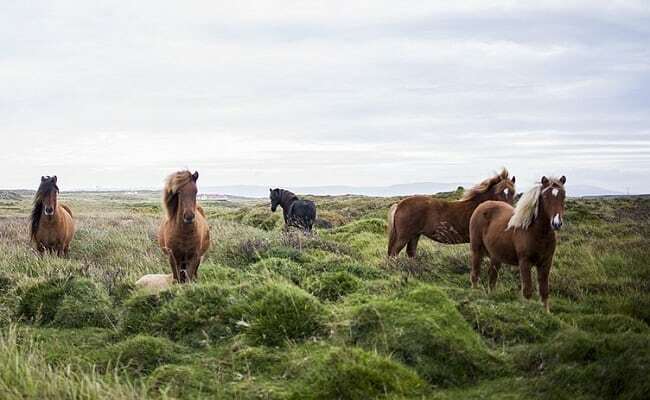 Coincidentally, about 500 miles north of Death Valley, wild horses are being rounded up in California’s Modoc National Forest despite lawsuits and opposition from Senator Dianne Feinstein. Those horses aren’t as lucky as Death Valley’s wild burros: the ones that aren’t adopted within 30 days will be sold for as little as $1 each and will likely end up in slaughterhouses outside the United States. Want to adopt a Death Valley burro? Find out more by visiting donkeyadoption.org. This article was first published by Care2.com on 5 Nov 2018. We invite you to share your opinion whether Death Valley’s iconic burros should be rounded up and slaughtered? Please vote and leave your comments at the bottom of this page. Should Death Valley's iconic burros be rounded up and slaughtered? Another conundrum we’ve created. The BLM, NPS and USFS has mismanaged these wild beasts from the time of introduction; now these bloated government bodies are considering a widespread cull. This action is typical of overzealous authoritative bodies. Send a few thousand of these grazers to the White House to blend in with all the other mules. No, of course not, but as usual this site doesn’t actually let me vote. Humans need to STOP killing every animal it doesn’t want to deal with, Animals are doing FAR less damage to the planet than humans. Hell no!!! 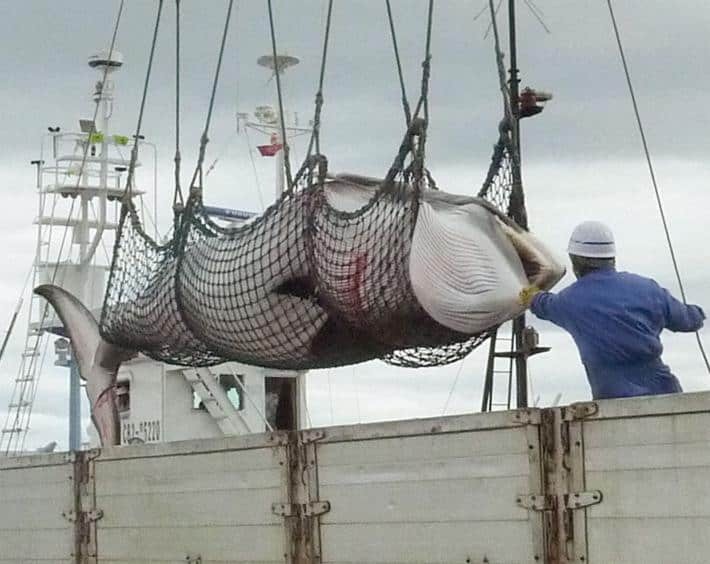 Leave these beautiful beings alone.